Finished this layout a couple of minutes ago. 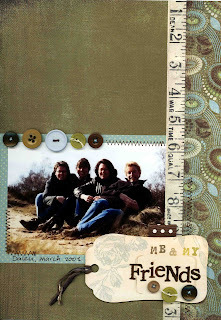 I used 7 Gypsies, BG (Mallow) and paper from a designer mat pad and a tag from a tag pad from K&Company (Classic K). I got the designer mat pad and tag pad as a X-mas present from my former SIL who lives in New Zealand. The buttons and the brown dotted ribbon I bought at the fabric market in Utrecht and the other ribbon is from BG (Periphery). Behind the tag is hidden journaling. The story is that in 2000 I won a prize with a contest by just leaving my phonenumber behind. The prize was a stay in Centerparcs in 2001 worth 1 thousand guilders (almost 500 Euros). So I asked 3 friends (Petra, Yvette and Ina) to come with me for a long weekend. Two of them I was befriended with when I was living in Utrecht and the other one lives in my present village. The funny thing was that they all knew me but they had never met one of my other invited friends. It didn't matter because they all got along very well and we had so much fun! Long walks in the surroundings of the village we stayed in, going to the swimming pool of Centerparcs and at night dancing the Salsa and drinking wine at our luxurious cottage! Only good memories!! On the picture from left to right: me, Petra, Yvette and Ina. Finished the layout I started last wednesday at Bitgit's a couple of days ago. It's a very simple layout made on the same board as the previous one, but this time with patterned paper from the BG line called Recess, some Prima flowers, a button and a journaling panel of chipboard from Autumn Leaves. The title is made of cardstock and I used the Cricut with cartridge Base Camp and the Xyron create-a-sticker model. Journaling is handwritten which I prefer most of the time. I'm feeling a bit tired and down lately. There are a lot of little things going on in my life and for some of them I don't see a solution right away and other issues I'm working on. I try to stay positive but I don't succeed all the time. I know my meno-pause has also started and I suppose my hormones are a bit confused. Maybe I should try to take some friendly medication for this period in my life. (I don't want to take hormones!) If you know the name of a friendly med that is working wonders for those nasty mood swings, just let me know!! 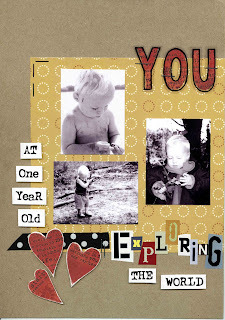 This morning I made this layout with 3 pictures of Zander when he was one year old! He was so cute at this age with his blond hair! I was inspired by some of the layouts I have seen on the calendar Designing with of 2007 from Autumn leaves. I first made some sketches from the layouts I liked and than started to work on my layout. I find this a nice way of working. 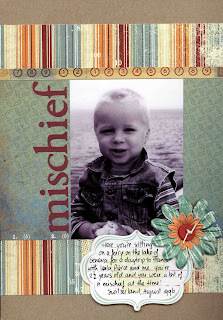 Although I'm scraplifting a lot I almost never make an exact copy of somebody elses layout. I made this layout on a piece of board. The hearts are made from the same board but covered with patterned paper. The word You is made with the same patterned paper and covered with transparant letters. I don't remember the name of the manufacturer of the letter stickers. I used the typewriter font in Word, a piece of ribbon from the market and some staples. This evening I started another layout at Birgit's crop. I hope to finish it soon! I had to say goodbye to my cousin Mieke today! She died peacefully in her sleep on the morning of the first day of this year, after suffering from a braintumor for a couple of months. It was such a great service! She and her family are members of the New Apostolic Church (?). 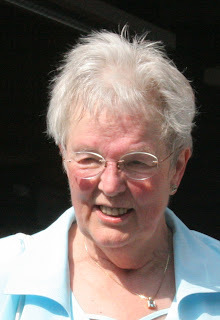 Maybe that had something to do with it or maybe it was because she was a remarkable woman, but there was so much love and gratitude and joy during the service and afterwards. My cousin was 20 years older then me and it was just the last couple of years that I met her frequently at my parents birthdays. 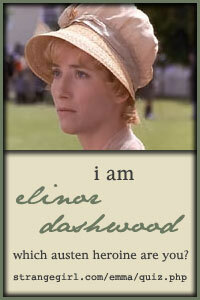 She was always very kind to me and she gave me this feeling of being somebody. During the service I learned that this was her special gift. The service was as she has been: uplifting! Bye, bye sweet Mieke, see you in heaven! Wish you all the best for 2008!! Sad to say that my year started not so well: I'm sick again! I felt horrible on December 31 and on January 1st. Feeling better today but still with wobbly knees. The last couple of years I never made New Years resolutions any more, but this year I felt the need to make at least one resolution. When I got on the balance last week I weighted 60 kilos!! That's way to much for a small person like me. So I have to loose at least 8 kilos. Better 10! I know from the past that I feel at my best when I weigh 50 kilos! So wish me luck! Now that I have made one resolution I feel the need to make some more. Another one is that I want to start doing Chi Neng Qi-Gong again. I felt so much better when I did this every day a few years back. I hope my always aching shoulder allows me to do the exercices! You have to work a lot with your arms: lifting chi up and down. I just give it a try when I feel better! I still have the video with exercices so that I can try it at home. The other thing to reduce my stress levels is to start meditating every day. And very soon I want to have a period of fasting. It's not only good for the body but also for your mind! It will also help me to loose some weight! I hope that at the end of 2008 my health is better than it has been the last couple of years!! What are your resolutions for 2008?